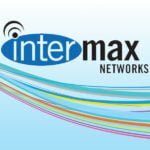 Thank you to our customers and friends for voting Intermax as The North Idaho Business Journal’s Best Internet Service Provider and Telecommunications Firm for 2019! Two years in a row! We are honored and humbled.